Mr. Brown joined Sullivan Stolier & Schulze LLC in 2002. Prior to joining the firm, he was a partner in the Healthcare Practice Group of Locke, Liddell, & Sapp, L.L.P. In law school, he was a member of the Order of the Coif, an editor of the Tulane Law Review, and a national finalist for Tulane at the Jessup Moot Court Competition. Mr. Brown represents physicians, hospitals, and other health care organizations and businesses, including governmental entities and nonprofits, in transactions, regulatory matters and administrative and judicial proceedings. 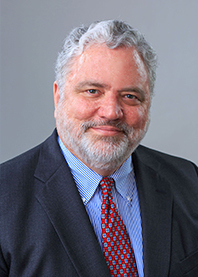 He is a former Chair of the Governmental and Public Law Section of the Louisiana State Bar and a member of the American Health Lawyers Association’s Alternative Dispute Resolution Service. Mr. Brown teaches a course in health care law and has published and presented numerous papers and articles addressing various aspects of health law, employment law, insurance coverage and business litigation.